Stephens, unseeded in her fairytale run to a first Grand Slam title here last year, is now at No. 3 the highest-ranked woman left in the draw after the exits of world number one Simona Halep and number two Caroline Wozniacki in the first and second rounds. Stephens was expecting a battle against two-time Australian Open winner Azarenka, playing on a wild card invitation as she works her way back towards the top after time off to have a child. An early break gave Stephens breathing room in the opening set, and she put it away by breaking Azarenka at love in the ninth game. 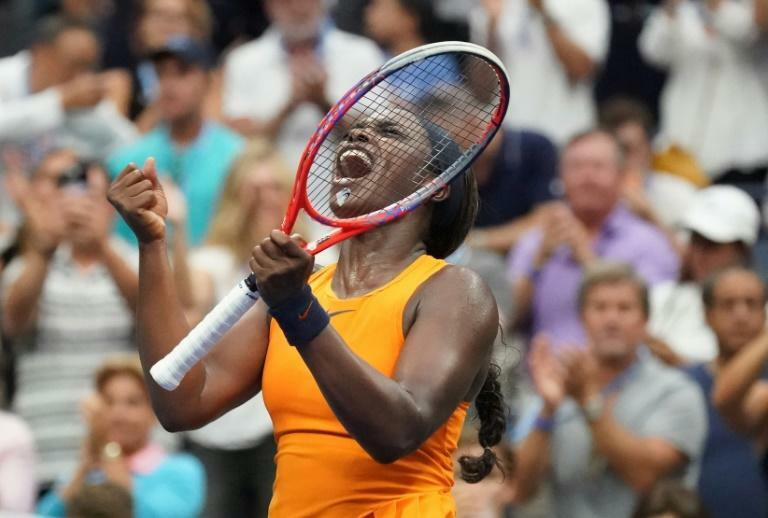 But the Belarusian's big shots stretched Stephens' vaunted defensive skills to the limit in the second set and after letting slip a 3-1 lead Stephens found herself 4-3 down when light rain prompted officials to close the Arthur Ashe Stadium roof. Stephens said she benefitted from the break, during which she changed clothes and came back feeling refreshed. "I think that helped me a lot," said Stephens, who won the last three games in the "super-cool" atmosphere of the closed stadium. "I played much better the last three games," she said. "I competed. When things got tough, I just hung in there, battled as hard as I could, ran down every ball. Azarenka thought it would have been "smarter" to close the roof to start the match, if rain was on the way. "But I'm not goiong to be sitting here finding any excuses," she said. "I think I put on a great fight. I'm very happy with the way I approached the match. All that is positive." Stephens will face 15th-ranked Belgian Elise Mertens for a quarter-final berth. Mertens withstood a late challenge to beat Czech veteran Barbora Strycova 6-3, 7-6 (7/4). "I played her last week in Cincy," said Stephens, who fell to the Belgian in the third round in Cincinnati. "I'm going to give it another go."